WASHINGTON — Montgomery County may allow dockless bike companies to operate outside of the current boundaries they are confined to in Silver Spring and Takoma Park, Maryland, and may allow electric scooter companies and pedal-assist bikes to begin operating as well. 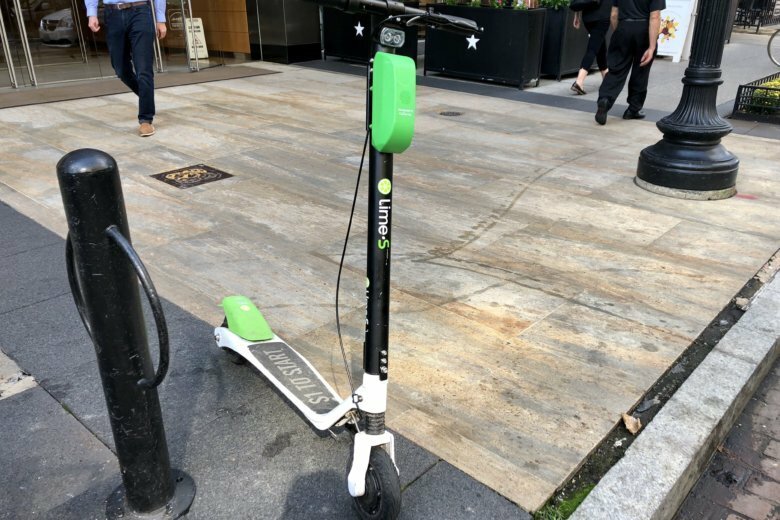 The Montgomery County Department of Transportation began a yearlong pilot program with dockless bike operators Lime, Ofo, Spin and Mobike in Silver Spring and Takoma Park in August 2017. Lime is currently the only company still operating in Montgomery County. The county’s department of transportation reports few problems or complaints during the initial pilot. The MCDOT will hold three town hall meetings on expanding the pilots Oct. 29, Oct. 30 and Nov. 1, and is considering adding Bethesda, North Bethesda, Friendship Heights, Chevy Chase, Veirs Mill and Wheaton. While electric scooters are currently not allowed in the pilot area, MCDOT will seek public input on expanding its dockless program to include electric scooters as well as pedal-assist electric bikes. During the evaluation period, MCDOT says the program was generally successful for short trips. Riders took 18,000 trips over a six-month period using dockless bikes. About 15 percent of those trips strayed outside of the pilot area. MCDOT also says incidents of improper parking of the bikes were reduced over time with users becoming more familiar with the rules and bike companies improving their in-app communications for users. During the test period, 7 percent of bikes were parked in a way that caused an obstruction. The Town Hall meetings seeking input on expanding the county’s dockless transportation program are all from 7 p.m. to 8:30 p.m. in the following locations.